A fond memory of my childhood has to be going to the Olive Garden. The only difference from most people is that instead of the salad to start our meals, almost my entire family got the soup. 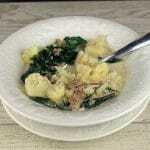 Four bowls of zuppa toscana. Years passed before I ever even thought of making my own. It seemed like such a complicated and heavy soup recipe that I decided I couldn’t possibly make it taste good on my own. And if I did, it wasn’t going to be anything that would fit in with my healthier lifestyle. So…I didn’t even try. 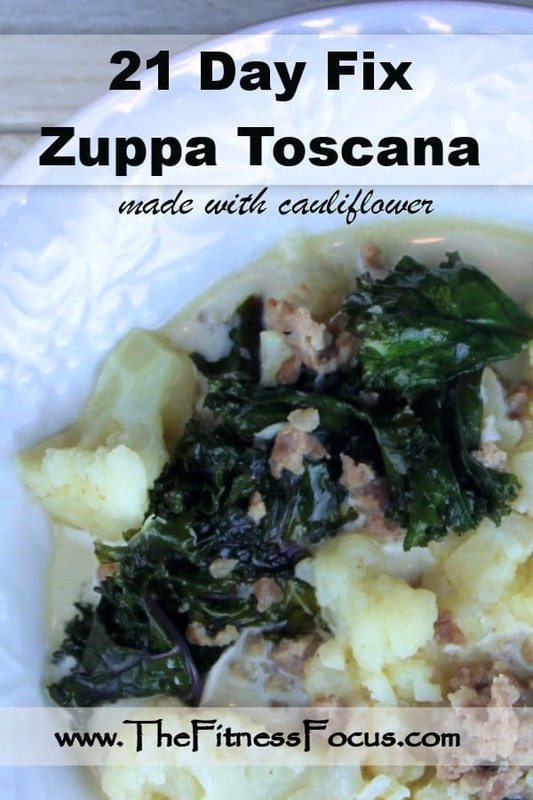 It was such a surprise to learn zuppa toscana soup is actually pretty easy to make. The best part is that you can change a lot of the ingredients. If you’re looking for a lower calorie option, swap the potatoes for cauliflower (see below) or use a leaner meat like turkey sausage. If you have a dairy intolerance, swap the heavy cream for coconut milk. I have nothing against potatoes! The only reason I made it this way was because I had a head of cauliflower on hand and no potatoes. 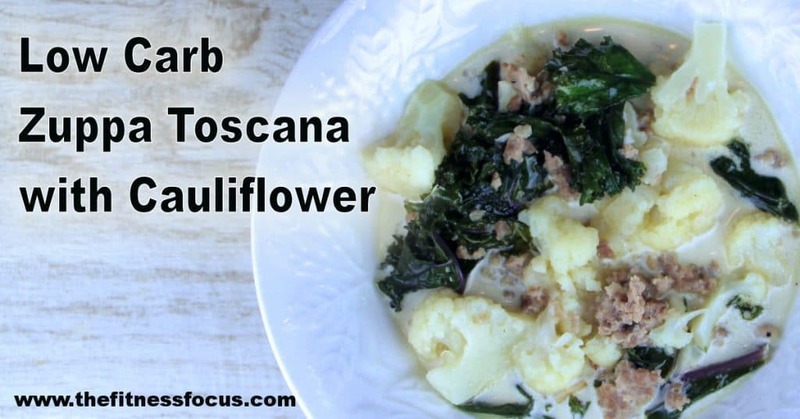 With that said, the real reason I’m sharing this low carb version of zuppa toscana is that “it tastes better with cauliflower than potatoes” in the opinion of everyone in my family. From a nutritional aspect, cauliflower and potatoes are both full of different vitamins and minerals. From a calorie standpoint, cauliflower does contain less calories than potatoes when comparing a single cup serving size of each. There are lots of different things you can do, so don’t be afraid to put your own spin on it. The one non-negotiable ingredient that I refuse to make this without is my own slow simmered chicken broth. In a large pot, heat the olive oil over medium-high. Add the onion and sauté for 2 to 3 minutes. Add the garlic and sauté for another minute to two. Add the sausage and grind for 8 to 10 minutes or until cooked through. Add the chicken broth to the pot and bring to a slow boil. Add the cauliflower and allowed to boil for about 8 minutes. Add some salt and pepper to taste and a Sprinkle of red pepper flakes. Add the kale and return to a boil. Reduce heat and simmer in cover for 6 to 7 minutes or until kale is cooked. If you are following the portion control diet approach from the 21 Day Fix, this will fit perfectly with your containers. I believe this recipe is also 2B Mindset-approved. It is going to be pretty hard to get the portion control containers 100% accurate, but hopefully this helps give you some idea what goes into this recipe. Enjoy!!! Tried it? What do you think? Please leave a comment below or any adjustments you’d make!